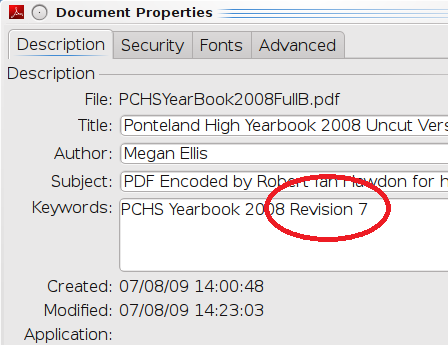 No less than 9 people have been added to the photo section, and some of the mistitled photos have been corrected, there will be no further updates unless authorised by Megan! 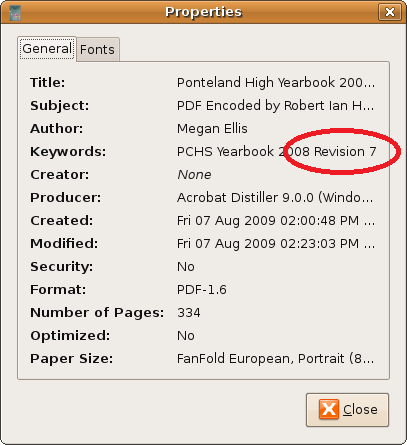 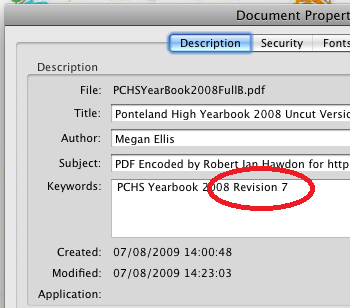 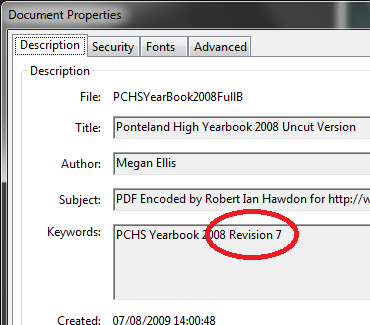 If the file you have is named "PCHSYearBook2008Full.pdf" then you have the old version, but if you have "PCHSYearBook2008FullB.pdf" then you have the updated version and you don't need to download again! 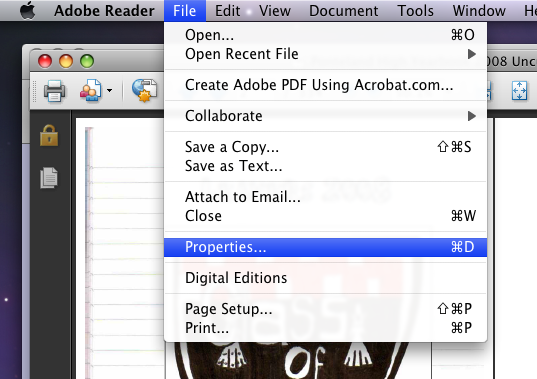 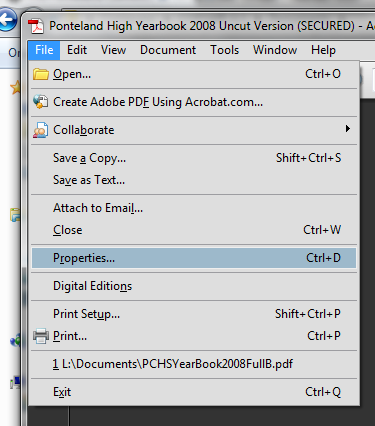 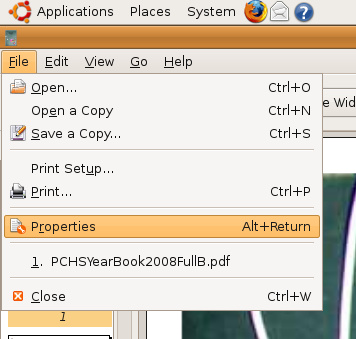 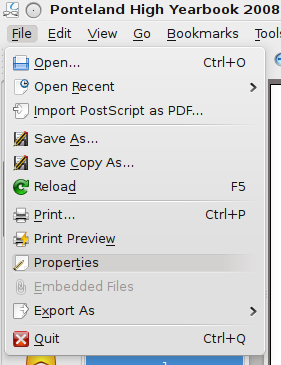 Firstly, open the yearbook in Adobe Reader and select "File" --> "Properties..."
Open the yearbook in Adobe Reader and select "File" --> "Properties..." from the menu bar at the top of your screen. 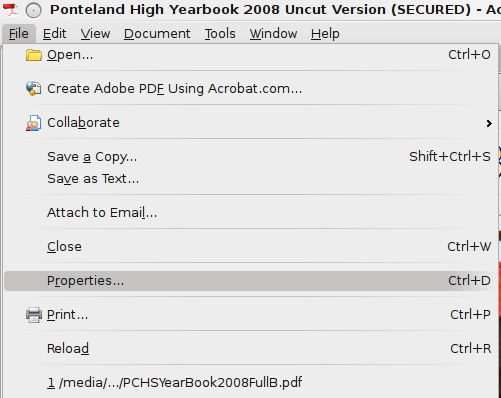 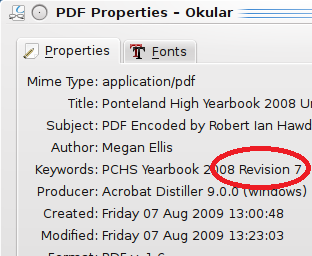 Open the yearbook in Adobe Reader and select "File" --> "Properties..."
Open the yearbook in Evince, and go to "File" --> "Properties"
Open the yearbook in Okular, and go to "File" --> "Properties"